The nuxt ads module must show ads only on intended pages. But the ads are displayed on all pages in production. In development mode it works as expected. the adsense module by nuxt works normally as it would in development mode. But in production mode the ads are being shown on each page. This issue as been imported as [question](https://cmty.app/nuxt/google-adsense-module/issues/c15) since it does not respect [google-adsense-module issue template](https://cmty.app/nuxt/issues/new?repo=google-adsense-module). Only bug reports and feature requests stays open to reduce maintainers workload. This issue as been imported as question since it does not respect google-adsense-module issue template. Only bug reports and feature requests stays open to reduce maintainers workload. If your issue is not a question, please mention the repo admin or moderator to change its type and it will be re-opened automatically. Your question is available at https://cmty.app/nuxt/google-adsense-module/issues/c15. Showing ad all over the website in production. I can sucessfully added adsense ads to nuxt project but when I deploy it on server, then ads are showing on each of the page. Is this module still active? this error appear on my browser adsbygoogle.push() error: No slot size for availableWidth=0 but they appear well on the browser. my ads are responsive, so maybe i didn't them them well. Does anyone has the same problem ? tpc.googlesyndication.com/:1 404 error appears whenever i open a new web page using nuxt-link. how to add crossorigin: 'anonymous' in script? how to add crossorigin='anonymous' in <script>of adsense??? It seems spa version doesn't work. adsbygoogle.push() error: Only one 'enablepagelevel_ads' allowed per page. Would love a working example. Would love a working example as reference. Been trying to get mine code working but it doesn't seem to work show anything in page. [Vue warn]: Unknown custom element: <adsbygoogle> - did you register the component correctly? For recursive components, make sure to provide the "name" option. but nothing to show for it. I've enabled this module in a production website that's hosted using a static nuxt deployment. I tried applying to Google Adsense twice and both times the application failed because they were unable to detect the code on the website. I can look at the sources and see the code in an included <script> tag, but Google doesn't detect it. error An unexpected error occurred: "https://registry.yarnpkg.com/@nuxtjs%2fgoogle-adsense: Not found". npm ERR! 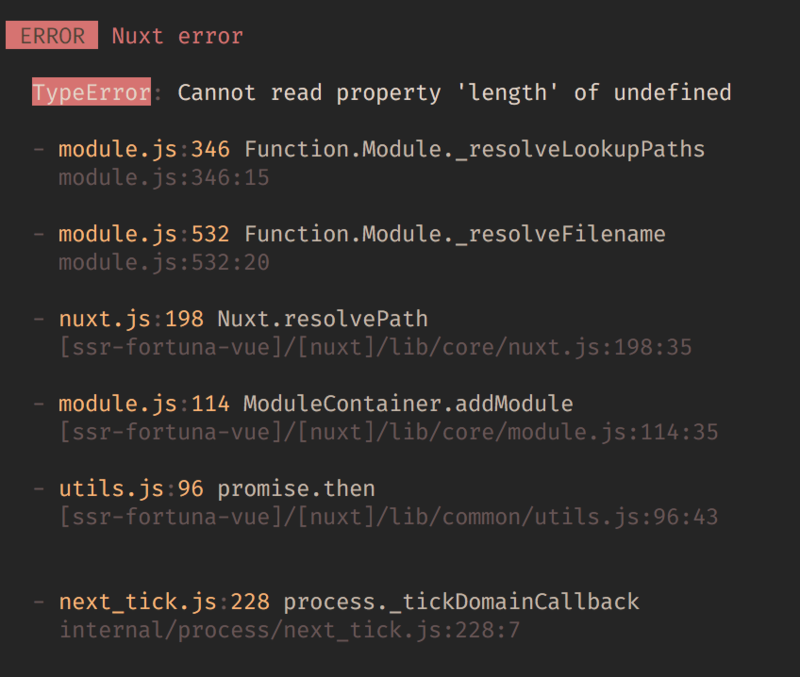 Failed at the @nuxtjs/[email protected]0.0.0 lint script. To enable Greenkeeper, you need to make sure that a commit status is reported on all branches. This is required by Greenkeeper because it uses your CI build statuses to figure out when to notify you about breaking changes. Since we didn’t receive a CI status on the greenkeeper/initial branch, it’s possible that you don’t have CI set up yet. We recommend using Travis CI, but Greenkeeper will work with every other CI service as well. If you have already set up a CI for this repository, you might need to check how it’s configured. Make sure it is set to run on all new branches. If you don’t want it to run on absolutely every branch, you can whitelist branches starting with greenkeeper/. Once you have installed and configured CI on this repository correctly, you’ll need to re-trigger Greenkeeper’s initial pull request. To do this, please delete the greenkeeper/initial branch in this repository, and then remove and re-add this repository to the Greenkeeper integration’s white list on Github. You'll find this list on your repo or organization’s settings page, under Installed GitHub Apps.